March 1 signals the beginning of meteorological spring. 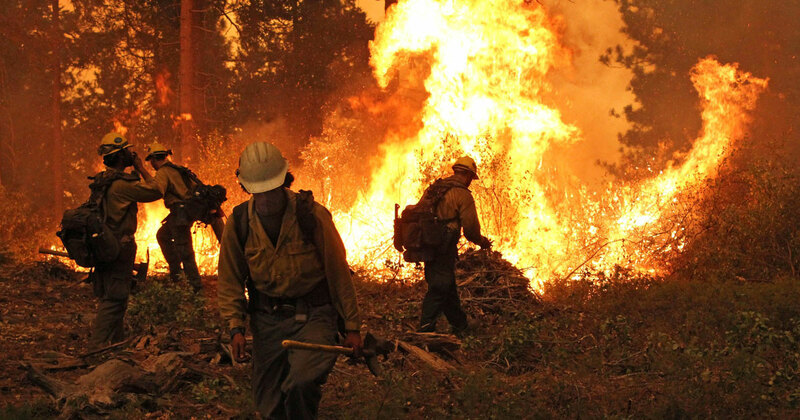 In spite of the wintry precipitation that has kicked off the month in parts of the country, springs across the U.S. are getting warmer with climate change. On average, spring has warmed a little more than 2°F in the U.S. since 1970. The strongest warming, as examined by the NCEI climate divisions, is in the Southwest. 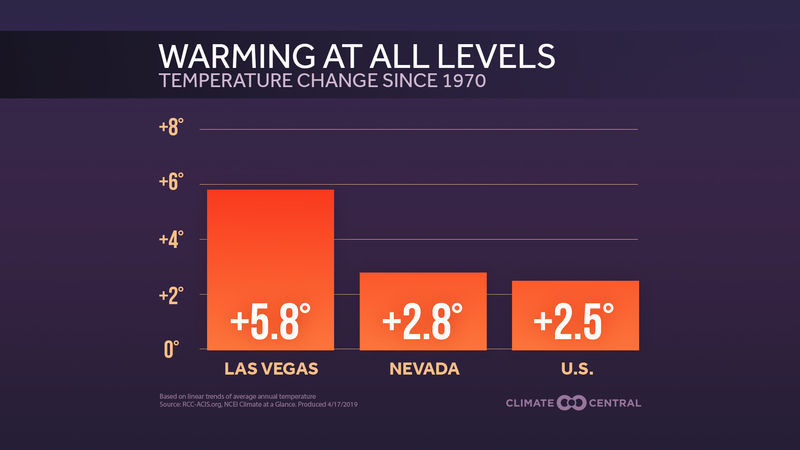 Several cities have warmed more than 5°F, including El Paso, Las Vegas, Phoenix, and Tucson. Of the 244 stations across the country we analyzed, only nine (3.7 percent) showed no warming trend at all, and more than half have warmed at least 2°F. Spring isn’t just getting warmer, but the signs of spring are coming earlier. Based on the appearance of first leaves, spring is arriving in the U.S. an average of three days earlier than a few decades ago. By 2100, it may be as much as three weeks earlier. Warming springs disrupt long-term patterns in nature. Plants are emerging from their winter dormancy earlier, putting them at a greater risk of damage from a brief early spring freeze. Tellingly, the famous cherry blossoms in Washington, D.C. are forecast by the National Park Service to peak between March 17-20 this year. This is much earlier than observed average peak dates between the last week of March and the first week of April. Additionally, migrating birds and insects that help pollinate plants and food crops may not arrive at the best time for pollination. 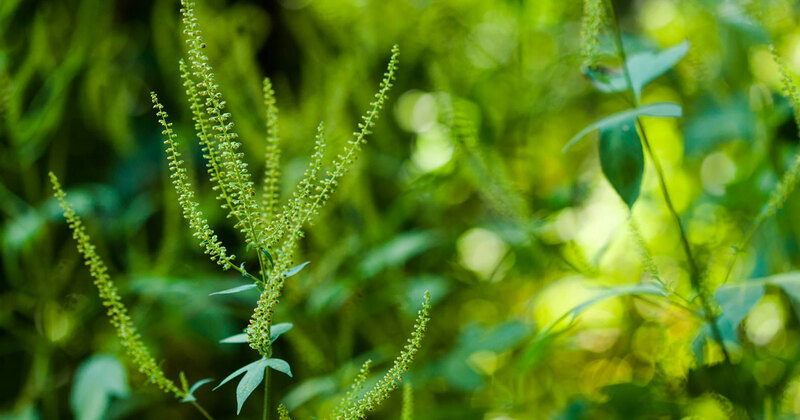 The pollen season itself also is moving earlier into the year, increasing respiratory stress for those with allergies, and increasing the risk of allergy-induced asthma. 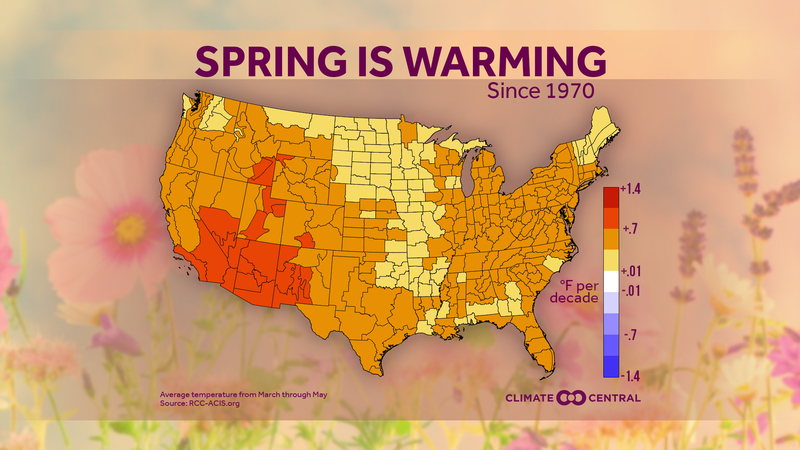 Methodology: National trends in spring warming are analyzed using NOAA/NCEI climate division temperatures for March through May since 1970. Individual city temperature trends are calculated using data from the Applied Climate Information System. Displayed trend lines on city analyses are based on an objective mathematical linear regression. A start date of 1970 was chosen since it is the earliest year in which reliable data was available for all 244 cities analyzed.